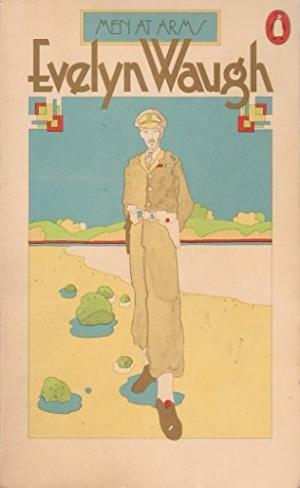 Men at Arms (1952) is the first volume of Evelyn Waugh’s trilogy Sword of Honour. The novels cover events in the second world war seen largely from the point of view of a willing volunteer – Guy Crouchback. He is eager to serve his country and has old-fashioned views on chivalry and the role of the English gentleman. The two later volumes are Officers and Gentlemen (1955) and Unconditional Surrender (1961). They can be read separately, but their significance is far greater when considered as a whole. Guy Crouchback has the pressure of tradition and inheritance upon him. His family has a distinguished history and a country estate in the West Country (which is being used as a convent at the opening of the novel). His elder brother was killed on his first day of combat in the First World War. Another brother went mad and died. He has an elder sister, but under the conventions of primogeniture, neither she nor her offspring are eligible as inheritors of the family name and estate. Guy has been married but is now divorced and childless. Moreover, as a practising Catholic, he believes he should not re-marry – which is why he embarks on the comic but painful episode in which he attempts to seduce his ex-wife Virginia in Claridges Hotel. Since the Catholic Church does not recognise divorce, she is the one woman with whom he can engage sexually without breaking any of the Church’s moral sanctions. The planned seduction does not go well, and the promiscuous Virginia reproaches him in a particularly cruel manner. So – the continuity of the Crouchback ‘name’ via male inheritance rests firmly on Guy’s shoulders, but he feels there is very little he can do about it. It is interesting to note that following a divorce which has clearly left him emotionally bruised, Guy is made happiest by what are essentially fourth form japes against the headmaster figure (Ritchie-Hook) in the episodes with Apthorpe’s ‘thunder box’. Guy tries to be honourable, but he is emotionally immature. 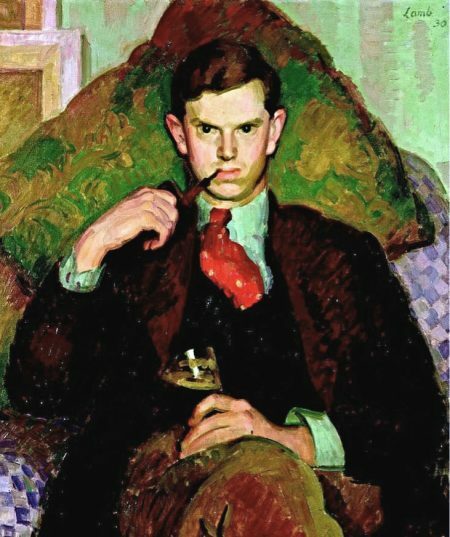 Evelyn Waugh originally wrote and published the three volumes of the Sword of Honour trilogy as stand-alone novels. Men at Arms was published in 1952 , then followed by Officers and Gentlemen in 1955, and Unconditional Surrender in 1961. The separate volumes are united by the figure of Guy Crouchback, whose development and misadventures they trace. But when the sequence was completed, Waugh edited the texts to make the trilogy a more coherent whole. The edits are fairly minor and do not change any significant episodes of the plot. For a detailed examination of the parallels and constructive differences, see the excellent introduction and explanatory notes to the Penguin edition of Sword of Honour edited by Angus Calder. Even though the novels can be understood and enjoyed as separate fictional entities, it is clear that Waugh conceived of the trilogy as a whole. 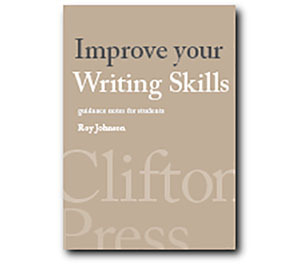 There are recurring characters about whom the reader only learns more fully when they appear in later volumes. For instance, it is not made apparent in this first volume that the morally dubious character Trimmer is already known to Virginia, Guy’s ex-wife. We do not learn these details until the second volume of the trilogy when Trimmer is on leave in Glasgow and spends a few days with Virginia in a hotel. And it is not until the third volume that we learn Virginia bears Trimmer’s child, which Guy adopts as his own, following her death. Waugh exploits both dramatic irony and elements of farce and black humour throughout the novel – and the trilogy. Even the titles of the three volumes are deeply ironic. The first, Men at Arms, is largely concerned with Guy’s failure to become engaged in a war for which he is a willing volunteer. He spends the majority of the novel in training and preparing for combat which does not materialise. The only military action he sees is a farcical (and completely unnecessary) night raid organised by his commander Ritchie-Hook, who emerges from the engagement with the severed head of an African guard as a trophy. Similarly, the second volume, Officers and Gentlemen, is about the failure of the officer class (largely recruited from upper-class families) to show any proper leadership or competence. The third volume, Unconditional Surrender is about the ironic reversals of fortune that lead to Guy Crouchback’s compromise with his failed military and personal life. Much of the humour is generated by the tension between Guy’s calm and stoical acceptance of all the trivial disciplines of military life and the comic efforts of his colleagues to avoid it. A prime example in Men at Arms is the episode of Apthorpe and his ‘thunder box’. Apthorpe has bought a portable chemical toilet from a government official and wishes to reserve it for his private use. He hides it in various locations at their training camp, against the orders of their officer, the disciplinarian Ritchie-Hook, who pursues the matter with official notices banning access: Out of Bounds to all ranks below Brigadier. Apthorpe clings to his possession for no other reason than a neurotic fear that he might contract veneral disease from the seat of a shared toilet. The conflict completely dominates Apthorpe’s existence, and the matter is not resolved until finally the brass-bound oak box is blown up in an explosion. Guy supports Apthorpe’s efforts and remains loyal to him, whilst himself conforming to orthodox military discipline. When they are sent to Africa on a reconaissance expedition, Apthorpe contracts a tropical disease. Guy goes to comfort him in hospital, smuggling in a bottle of whisky against orders as a gift. Apthorpe finishes the bottle, and the alcohol kills him. Guy thus emerges as something of a ‘holy fool’ character – the innocent who blunders into misfortunes. All his mistakes, large and small, are recorded in a confidential dossier that follows him round his various postings, and effectively prevents his being promoted. In 1939, shocked by news of the Hitler-Stalin pact, Guy Crouchback leaves his family’s second home in Italy to fight in the war. His brother-in-law Box-Binder discourages him, and he is unable to obtain a position. Guy’s father introduces him to Major Tickeridge, who recruits him to the Royal Corps of Halberdiers. He undertakes officer training along with fellow recruit Apthorpe and the rather dubious Trimmer. At a Sunday lunch party he meets the bloodthirsty and eccentric Colonel Ritchie-Hook. Guy actually enjoys the routines and the companionship of the officer’s mess. On vacation in London he meets his selfish ex-wife and her second husband Tommy Blackhouse, from whom she is also divorced. Guy’s unit is transferred to an uncomfortable former school on the coast. He makes an effort to be sociable, but still feels alienated. Guy and Apthorpe both join the local Yatch Club. The new brigadier Ritchie-Hook arrives and gives all the officers a dressing- down. On leave Guy goes to London with the intention of seducing Virginia – but he finds her with Tommy Blackhouse, and Apthorpe keeps interrupting his efforts. Virginia rejects him scornfully anyway. On return Ritchie-Hook has transformed their headquarters and established a new disciplined order. Apthorpe introduces his chemical toilet and begins a farcical episode of hide and seek with Ritchie-Hook. The ‘thunder-box’ is eventually destroyed in an explosion. The brigade move to Scotland. Guy is not promoted in the new appointments, but Apthorpe becomes a captain, making him even more vainglorious and snobbish. There is petty competition for military superiority. The brigade is split up, with some personnel despatched to France. Guy’s group are reunited with Ritchie-Hook in Aldershot. Preparations for transfer to France are shambolic. Guy’s unit muster for the anticipated invasion of Ireland by defending the Cornish coast. Ridiculous rumours flourish. They are eventually embark at Liverpool to sail for Dakar in French Senegal. Ritchie-Hook is hoping for an attack on the Vichy French, but higher command calls it off. Instead, he organises an unofficial raid on the coast, led by Guy and his men, from which Ritchie-Hook returns with the severed head of an African guard. The Halberdiers move on to Sierra Leone. Guy visits Apthorpe who is delirious with fever in hospital. He smuggles in a bottle of whisky – but this kills Apthorpe. Guy is dismissed from the Halberdiers and flown back to England along with the injured Ritchie-Hook.